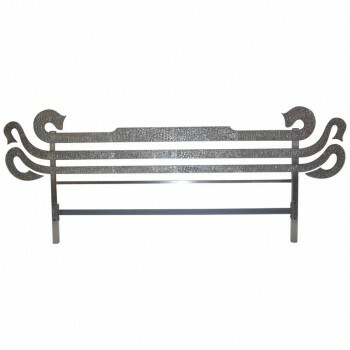 Luciano Frigerio was born in Desio in 1928. Her father, John begins, since 1889, a workshop crafts woodworking. Over the years, he collaborated with architects and famous Italian designers such as Franco Albini, Sergio Asti and later Paolo Portoghesi. Permanent exhibitions in Milan Gallery in the cemetery 1959-1963, Galleria Vittorio Emanuele permanent in 1964 * 1967 Permanent exhibition "Art Gallery" Via Montenapoleone 1968-1989. He died in Sanremo in 1999. 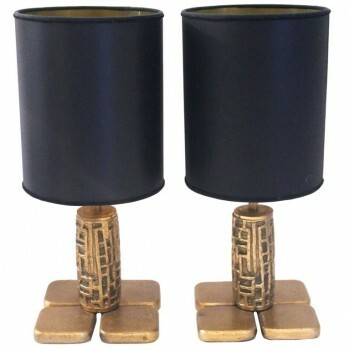 Luciano Frigerio, pair of table lamps, bronze, Frigerio di Desio production, signed under the base, circa 1970, Italy. Measures: Height 46 cm, diameter 21 cm. 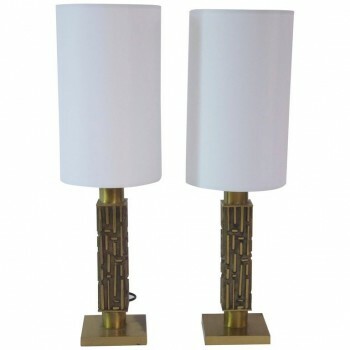 Frigerio, pair of table lamps, gilded bronze, circa 1970, Italy. 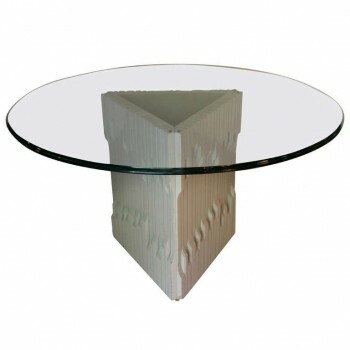 Measure: Height 60 cm, width 12 cm, depth 12 cm. Piedestal by Frigerio Di Desio (1928 - 1999) Piedestal. Frigerio Di Desio ( 1928 - 1999 ) Piedestal,lacquered wood and glass top,Italy, circa 1970. Height: 75 cm, diameter: 130 cm.